This is a post about garbage. 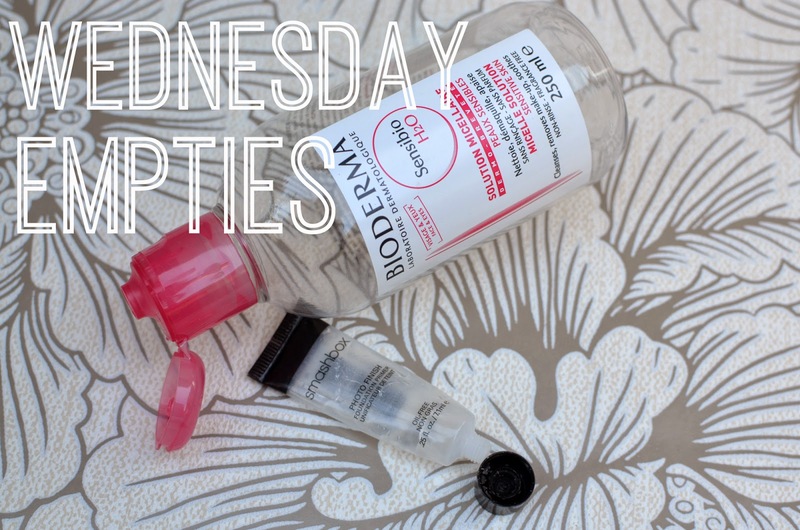 Or, rather, a new blog series about garbage... Wednesday Empties. I feel like Wednesday is the perfect day to go through my empties. It's the middle of the week, with the weekend just barely within reach... but there are still two more work days until I can sleep past 6:30 a.m. I don't know what it is, but taking a look at products I've used up fills me with a nice, warm, and fuzzy sense of accomplishment that makes it a little easier to get me through until Friday. Maybe. That, or a new lipstick from Sephora on my way home from work. This week, it's my trusty Bioderma Sensibio H2O that has seen its last drop. I go through these like crazy, I have no idea how many I've used up since I started using it a few years ago. One of my favourite parts of my skincare routine is to use this when I get home from work. A few squirts on a Shiseido facial cotton square, and it gets all the crap off my face (including my makeup), leaving me feeling fresh and clean after a long day. It's the best feeling - I highly recommend. Needless to say, I've already repurchased this. Actually, I always have a new bottle on deck when my current one starts to get low. Running out of my Bioderma is just not an option. Another empty that took me quite a while to finish up is Living Proof's Prime Style Extender. I bought this on a whim from Sephora, and ended up really liking it. I'm not really a "hair product" person, but I found myself consistently reaching for this on my shelf. 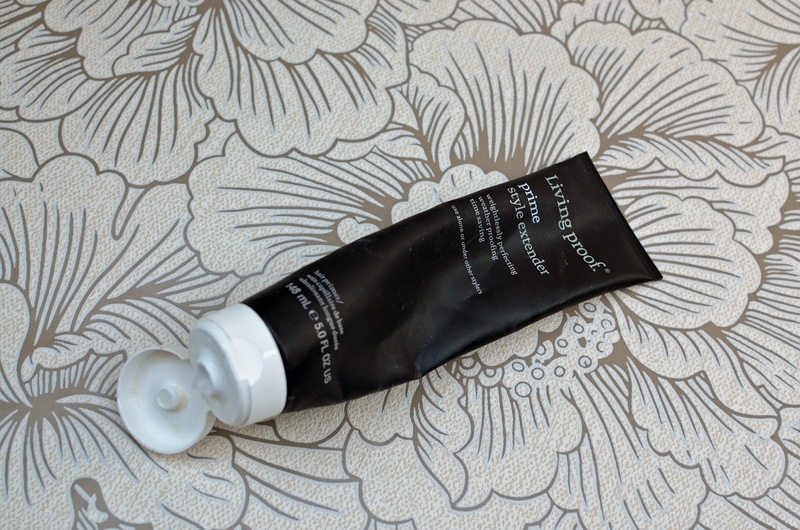 I applied a quarter-size amount to clean, wet/damp hair, and blow-dried; very simple! Most of the time I would leave it at that, but when I chose to straighten or curl my hair as well, I found it took on other products very well. The best part about this stuff? It gave me an extra 12 hours between washes. For serious. There's now a spray version of this available, so I might check that one out next. Either way, this is 100% getting repurchased! p.s. As you may have noticed, I've started to use affiliate links via Shopstyle in some of my posts. Two of the three links above are affiliate links. For more info, be sure to check out my disclaimer, and if you have any questions or concerns, tweet me @xochloegordon or leave me a comment!